Soon you may be able to get a Labrador Receiver for your Labrador Retriever and get him or her to do your bidding… as long as you know your bidding’s GPS coordinates. 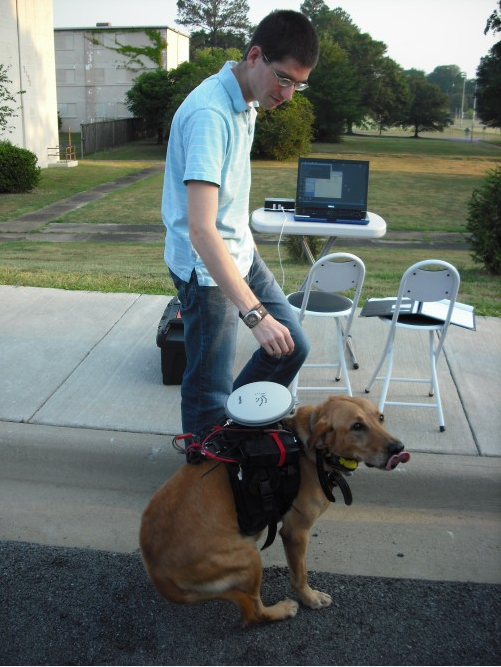 This paper presents an approach for autonomous guidance of a canine using an embedded command module with vibration and tone generation capabilities and an embedded control suite. The control suite is comprised of a microprocessor, wireless radio, GPS receiver, and an attitude and heading reference system. 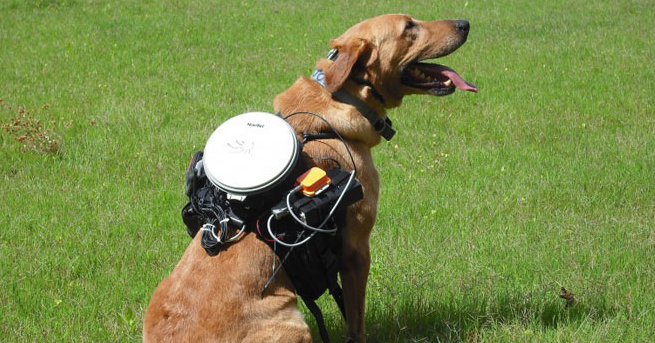 A canine maximum effort controller was implemented for autonomous control of the canine, which proved to be effective at guiding the canine to multiple waypoints. Results from structured and non-structured environment two waypoint trials indicated a 97.7% success rate. Three waypoint trials resulted in a success rate of 70.1%, and the overall success rate of the control system was found to be 86.6%. Translation: Remote control dogs. Because Auburn is awesome like that. We turn everything into robots—lawnmowers, eagles, man’s best friend. The idea, of course—and it’s an awesome one—is to aid first responders in situations tricky for first responders, at least the human kind. What’s that Lassie? Timmy’s stuck in dog-sized well? Up-Up-Down-Down-Left-Right-Left-Right-B-A-Select-Start. OK, go get him! Way to slip the linebacker comment in there. Yes to that. Contra code and linebacker joke. I love this page, it’s so bad.